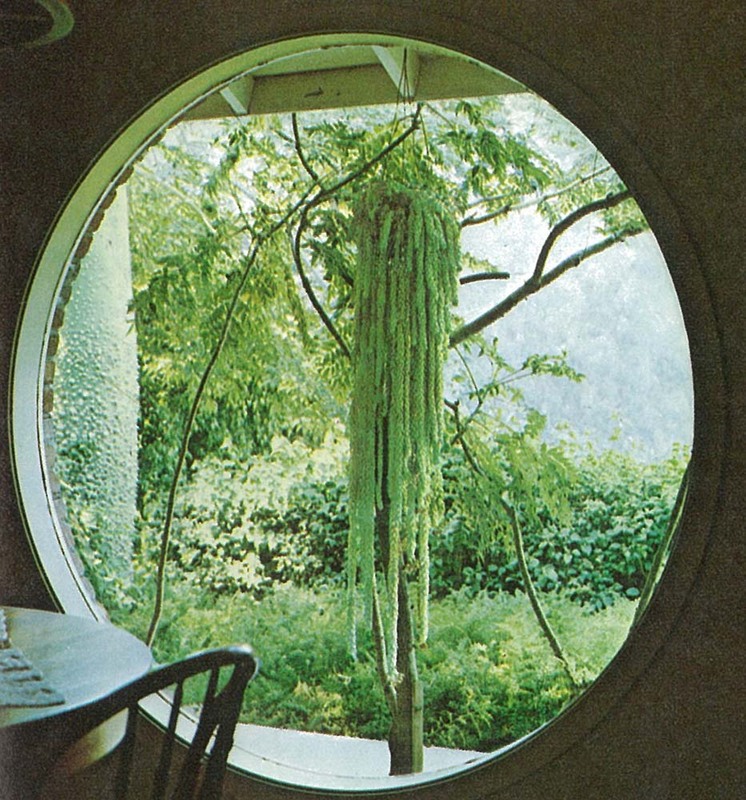 After a successful first guest post the other week, Olivia Hantken will be back taking care of the blog this week while I on holiday in Japan. 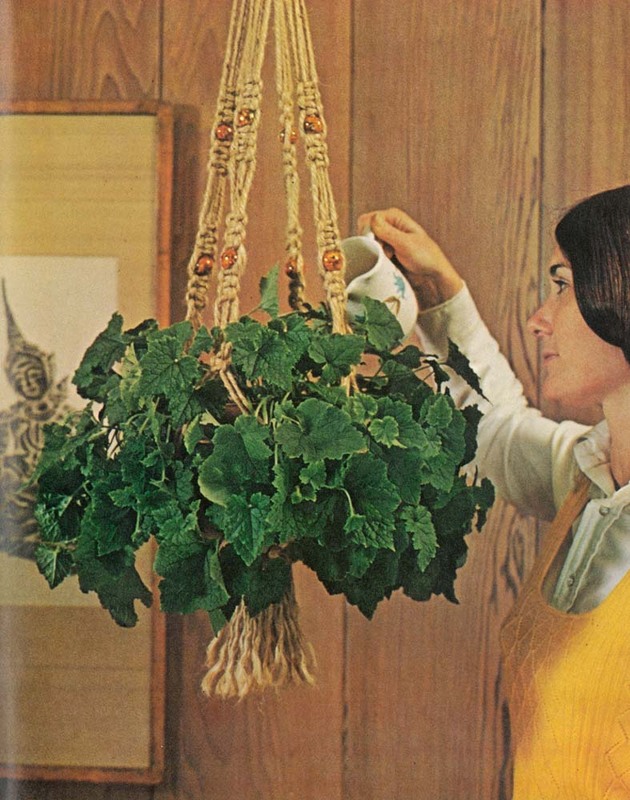 Vintage gardening magazines seem to be taking over more and more of my bookshelf, so I will be sharing selected images from some of my favourites over the next few weeks. 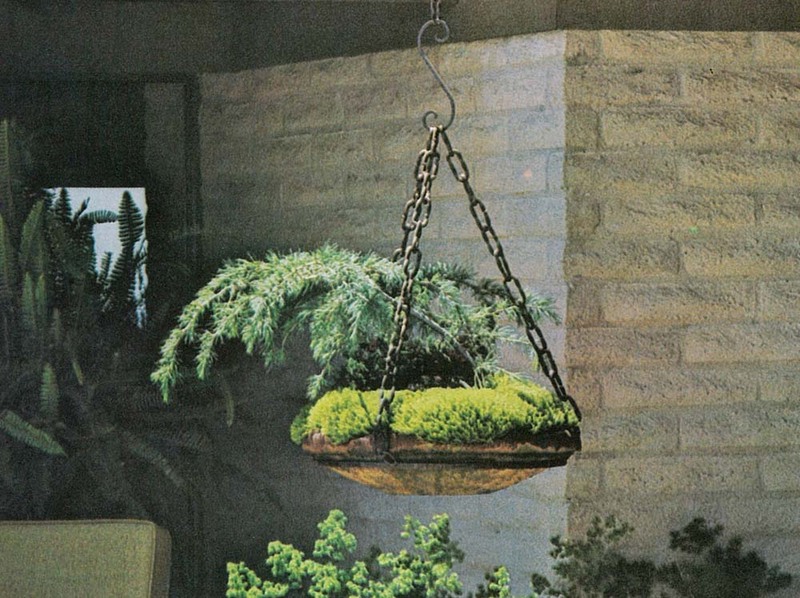 The first is a little gem I found called Sunset Ideas for Hanging Gardens. 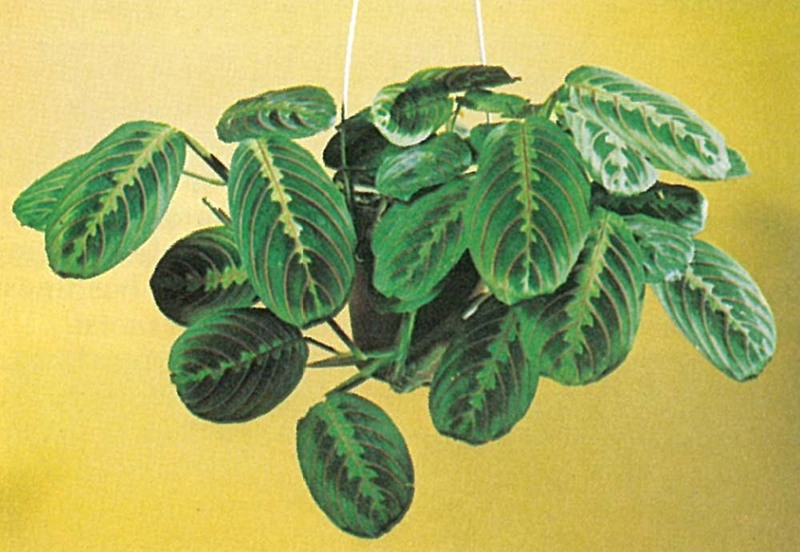 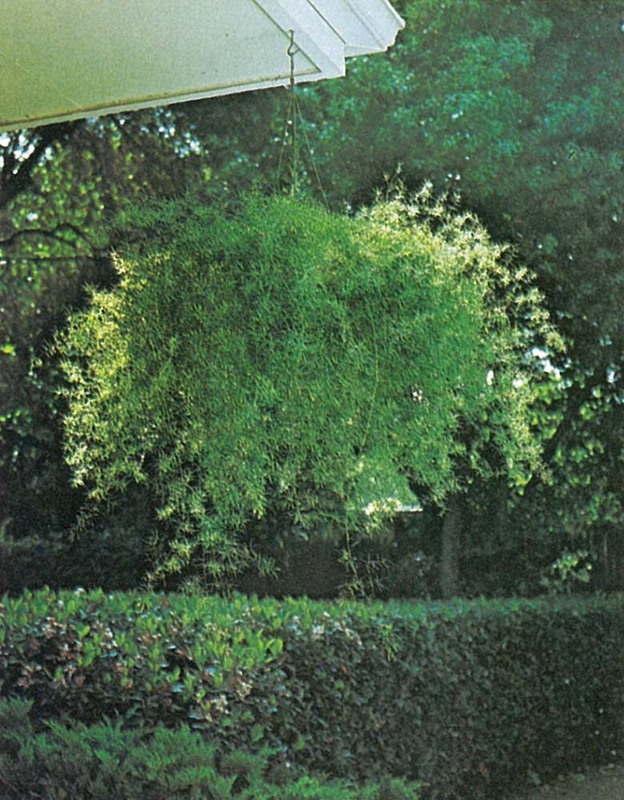 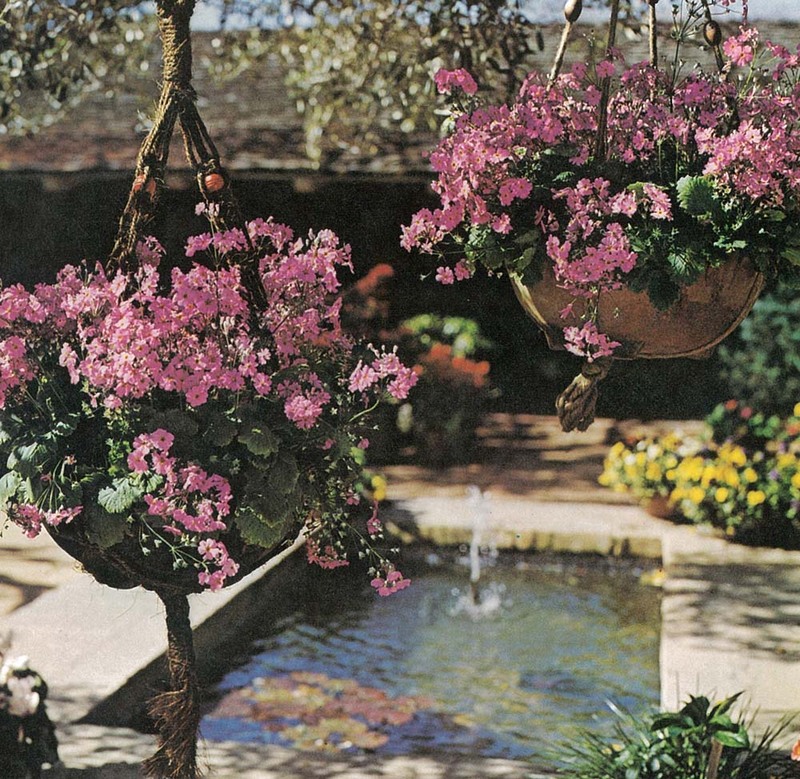 It was published in 1974 and features instructions and trends for a variety of suspended gardens. 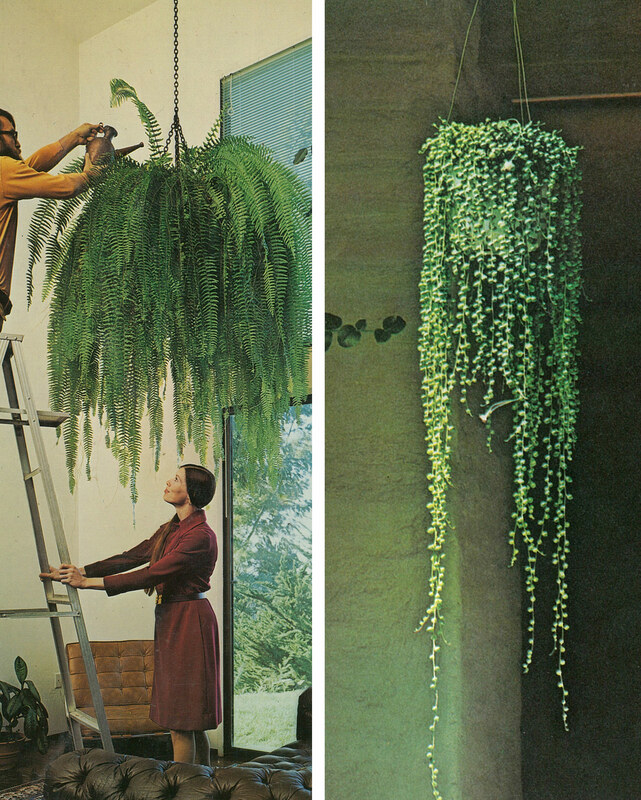 Some of my favourites are the giant boston fern (being watered from a ladder), the donkey tail sedum, the string of beads and the bonsai cedar with moss. 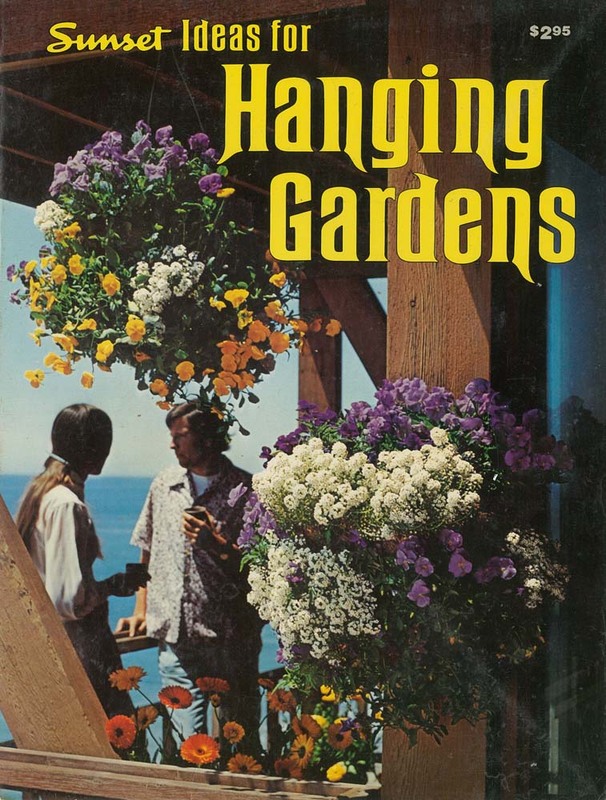 All images from Sunset Ideas for Hanging Gardens, Lane Publishing co. California 1974.